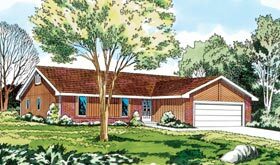 This simple but inexpensive ranch design has a brick and vertical siding exterior. The interior has a well set-up kitchen area with its own breakfast area by a large picture window. A formal dining room is located near the kitchen. The living room has one open beam across a sloping ceiling. A large hearth is in front of a wood burning fireplace. Inside the front entrance, a tiled foyer incorporates closet space and has many different room entrances through which an individual can walk. 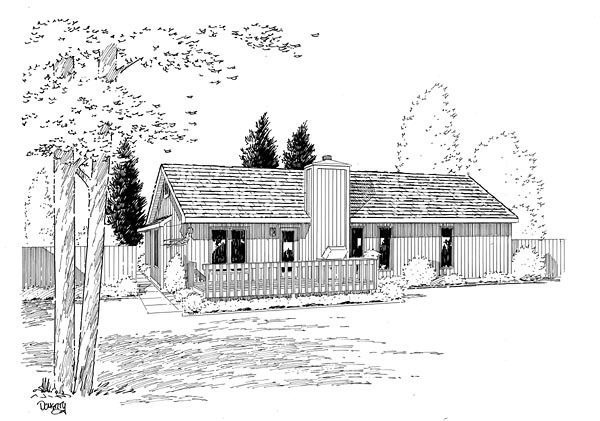 Three bedrooms are offered in this design. The master bedroom has an extremely large bath area with its own walk-in closet, two other bedrooms share a full bath. There is also a linen closet and a closet for the washer and dryer area. 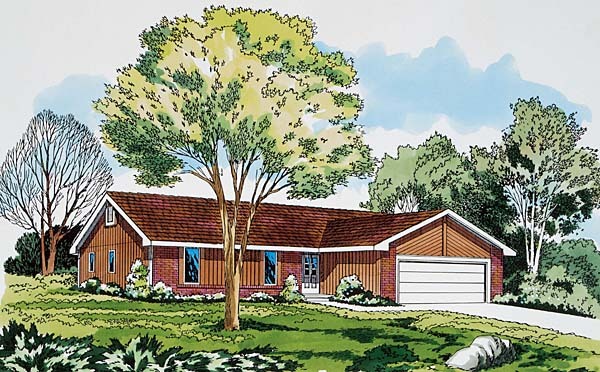 A two-car garage is offered in this plan.